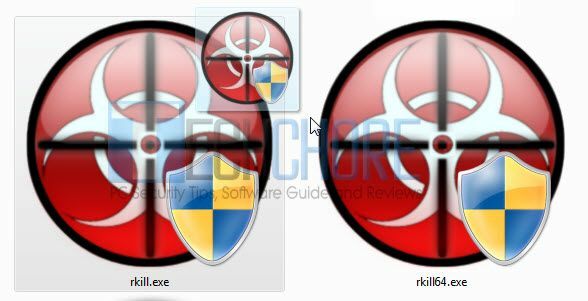 RKill is a utility software designed to terminate malware running processes that blocks or prevents your security software (Antivirus, Anti-malware and etc.) from running. In order that, you can start using security software again and be able to clean your computer from viruses. It helps removes incorrect executable associations and fixes policies that stop. Thus, giving a way for anti-malware applications to run and clean malware infections. Recently, if you are going to download it with Google Chrome you may encounter this error “maybe dangerous so Chrome has blocked it”. I don’t know why chrome behave this way but the word “maybe” may explain it. We all know that since then, this cute yet effective anti-malware software is very safe. All you have to do is don’t click the “discard” instead the “Show All”. From there, click the “Keep Dangerous file”. To download Rkill in your computer. Automatically scan computer and creates log reports. How RKill works and what it does? You don’t have to install it in your system, just run it to automatically scan your PC. It searches for malicious start up, registry values/entries, policies, DisallowRuns entries, executable hijacks, Image File Execution Objects and other potentially dangerous processes that hinders malware removal tools from running. Executing RKill may change or restore some registry entries that’s been changed by malware to protect itself. But you don’t have to worry because it automatically creates back-up of those previous registry settings at R-Kill folder. You can manually restore it if something goes wrong. RKill is not an Antivirus or malware removal tool, it has no power to remove malware. But it stops malicious or malware processes to help Antivirus and Anti-malware remove stubborn malware. Download it first, please see the download button above. Wait a few seconds, (waiting time may vary depending on your disk or the extremity of the malware) until a “Finished” dialog box appears. Please see the image below. Now you are ready to run your Security program. I received security warnings telling me that RKill is infected, what should I do? You don’t have to worry, Bleeping Computer (software author) is known to have a very good reputation against malware. It is impossible that they will distribute such. It is a false alarm or a bogus alert caused by malware to shield itself. So, to solve such issue and run in your computer simply rename the R-Kill file extension from .exe to .com or download the renamed version here. If you are using Comodo, Kaspersky and Trend Micro you may receive a false positives. However, be rest assured that R-Kill is clean and won’t hurt your system. So, just ignore those false positives. The author already submitted the tool to Antivirus vendors mentioned above so that they can whitelist it. How to whitelist file or path file so that Rkill won’t scan it? In my experience, I don’t think this is necessary. It is accurate enough, it doesn’t kill legitimate processes. However, in case this is an issue for you — in command prompt type the following r-kill -w c:usersdataprogram filesfile.exe. Please change the colored text to the path that you want Rkill to ignore. How would you rate this virus or malware stopper? Have you tried it? Share us your experience and problems if there is any. I have a problem. When I double-clicked it, it did not work. I couldn’t open the downloaded file. It said I should look for an app to open it in Store. What should i do? Hi Mevyjoy, I just updated the file. You can try to download now the new updated version of Rkill. Try also the Rkill.com. Please get back for any development.